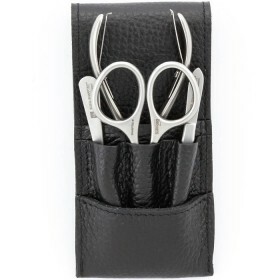 Trimming cuticles with the highest quality cuticle clipper SHARPtec makes your hands well manicured and picture perfect. 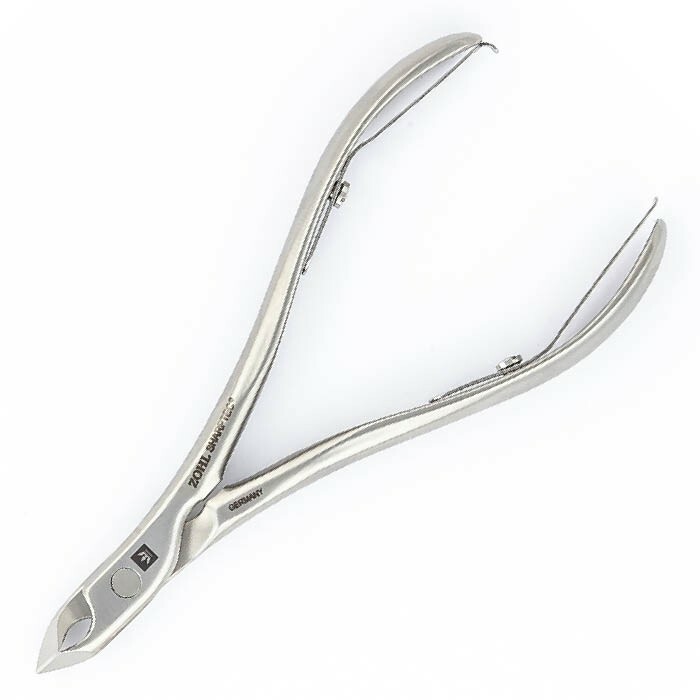 Crafted in Germany from surgical stainless steel, this Solingen cuticle nipper boasts perfectly sharpened blades, slim and short, for the most precise removal of overgrown cuticles. 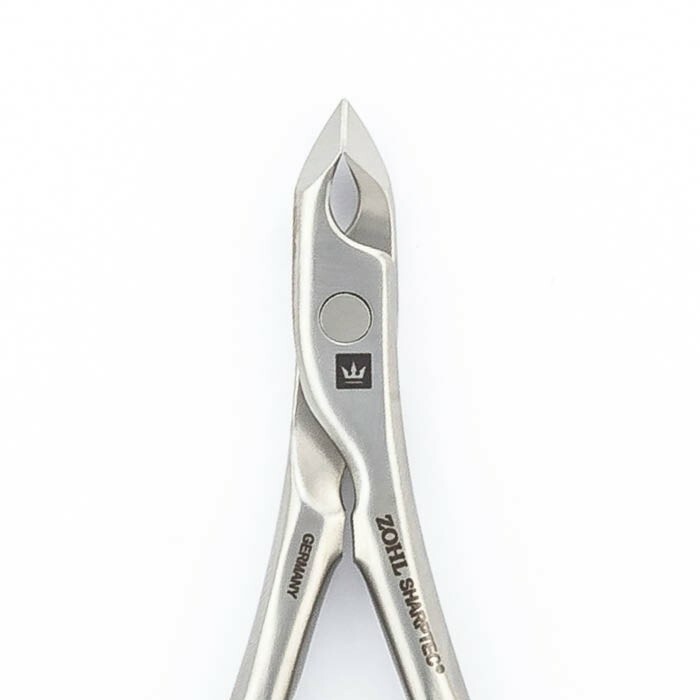 Innovative design with crush stoppers and specially hardened steel, ensures the cuticle nipper stays sharp for a very long time without any need of re-sharpening. 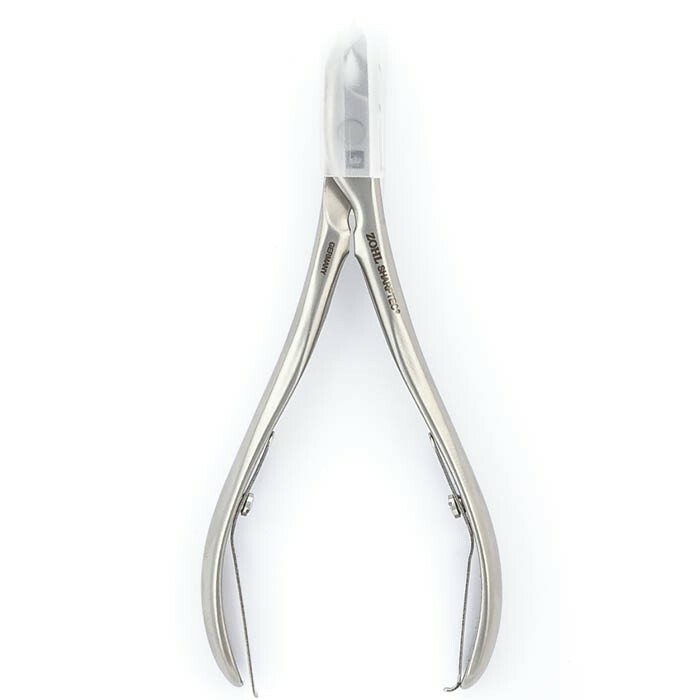 Double spring makes opening and closing easy and smooth, while the handles are firmly fixed to give you the best cuticle detailing with professional results. 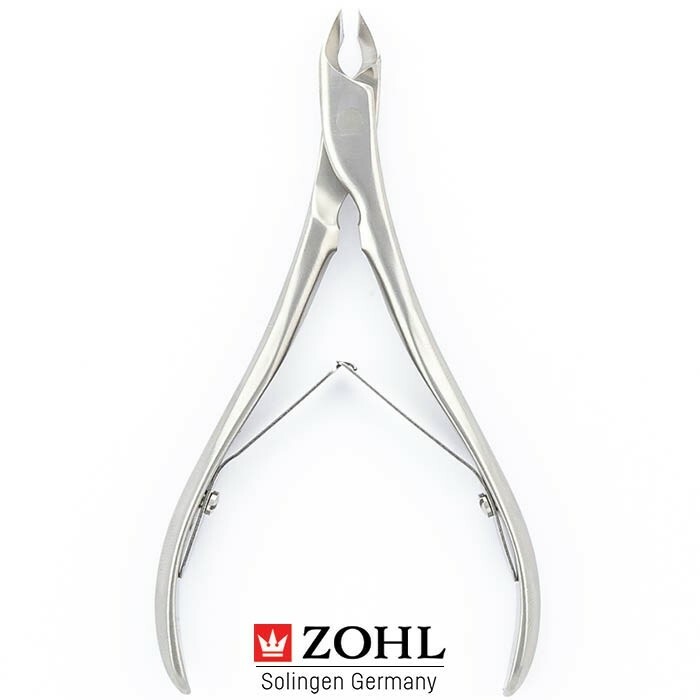 SHARPtec cuticle nipper by ZOHL tops the best German cuticle clippers thanks to immaculate Solingen craftsmanship, manually sharpened blades and improved design. 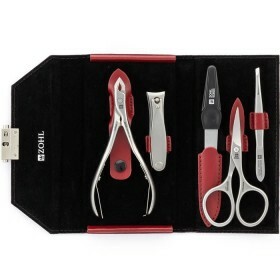 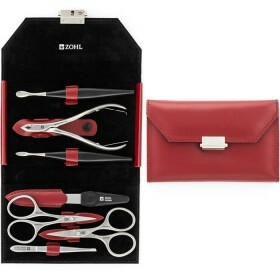 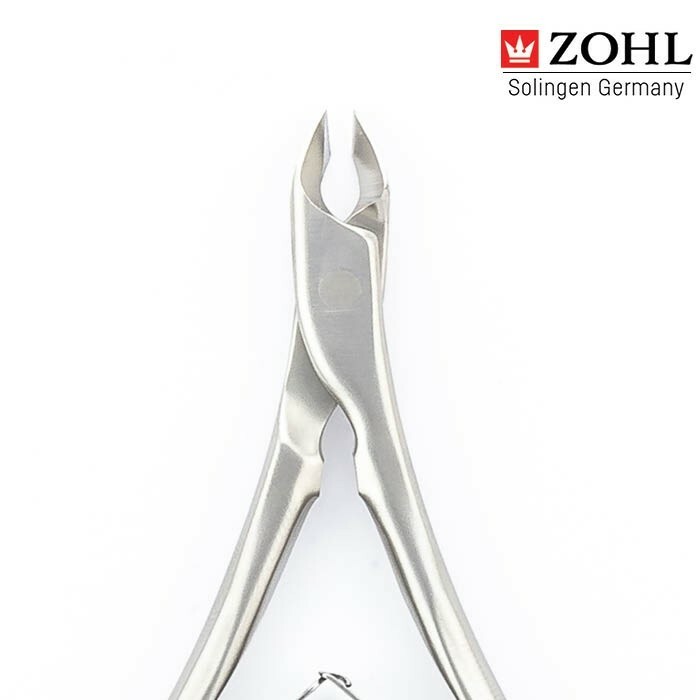 Like all SHARPtec manicure instruments, the ZOHL cuticle nipper is crafted by hand in the German city Solingen – the homeland of the world's finest cutlery, including pedicure clippers, manicure scissors, kitchen knives and surgical instruments. 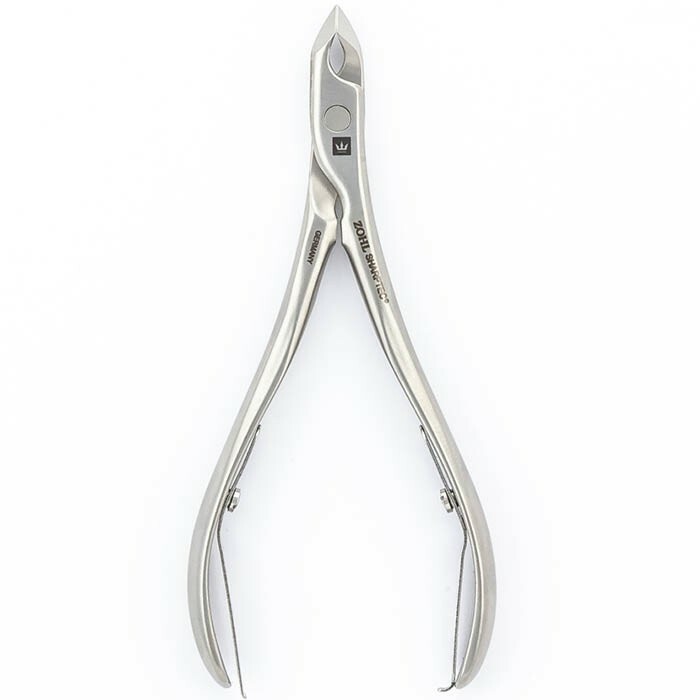 Authentic Solingen artisanship is the best quality among the highest quality cuticle nippers, and it will delight with professional performance. 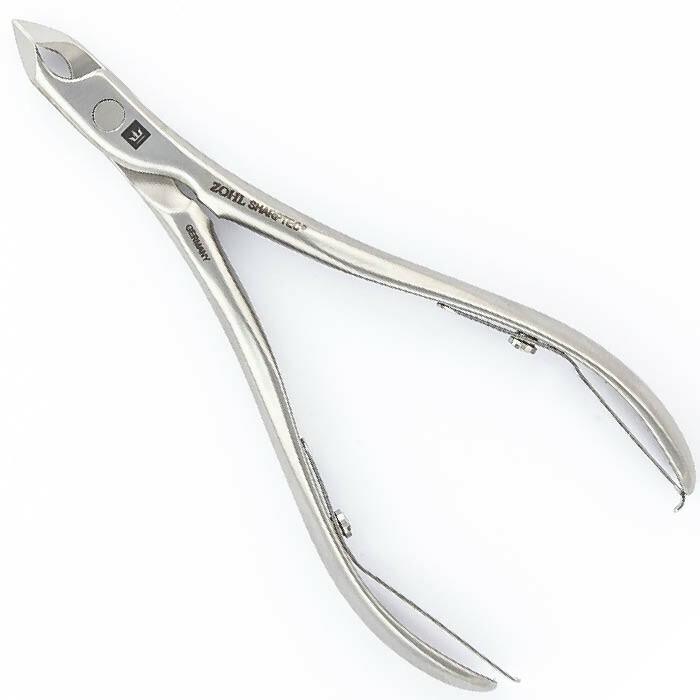 Specially hardened surgical stainless steel makes the blades last for longer without any service required for years ahead. 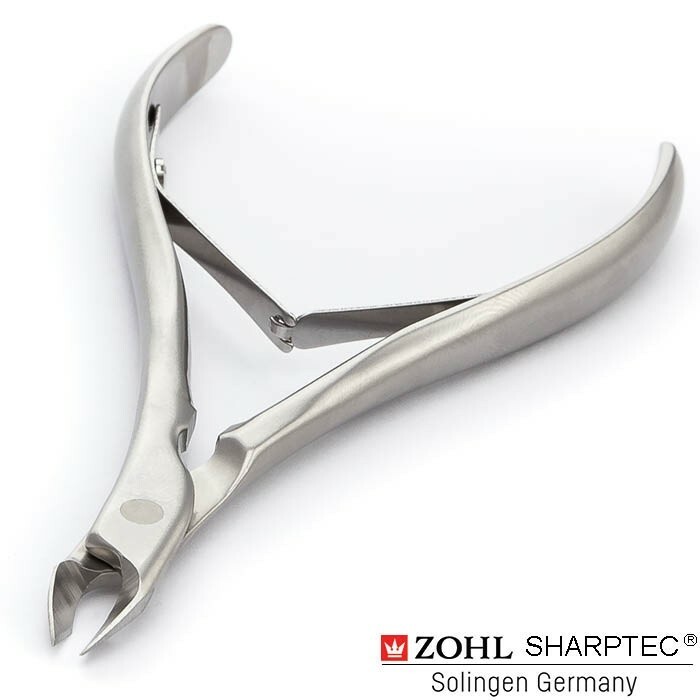 Unlike most conventional cuticle clippers that lose their sharpness soon after purchase, the SHARPtec cuticle nipper by ZOHL stays sharp for a long time thanks to the strong grade steel achieved through hot forging. 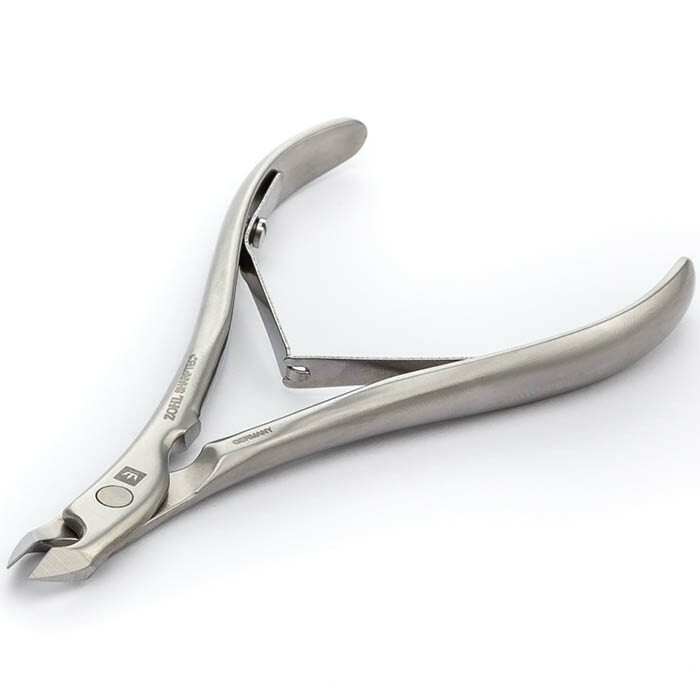 In addition, innovative design with crush stoppers protects the blades from grinding when you close the nipper. 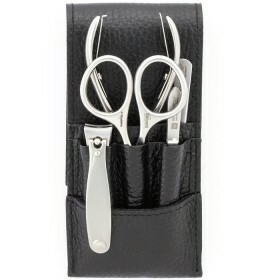 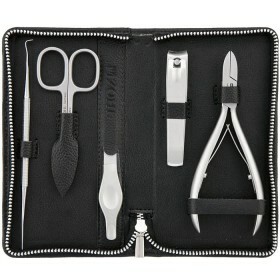 This extends their lifetime even further and rewards you with superbly sharp blades and beautiful cuticles.